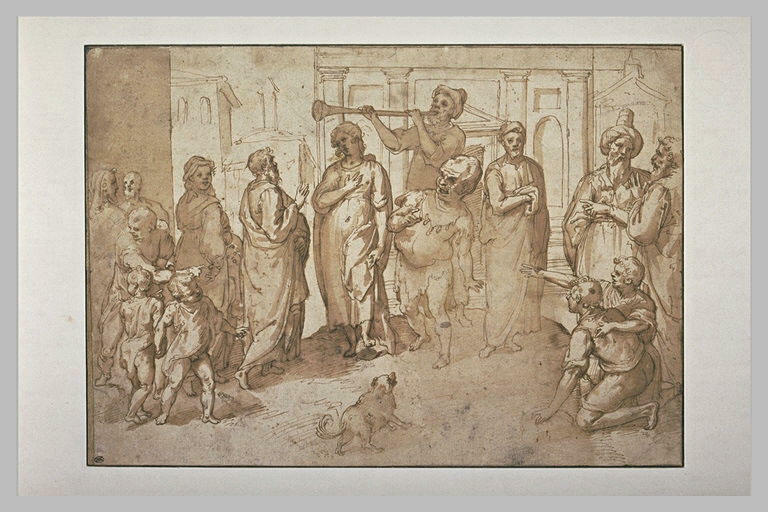 Le Louvre conserve un autre dessin de même composition, l INV 4532. J. A. Gere et Ph. Pouncey, Italian Drawings in the Department of Prints and Drawings in the British Museum - Artists working in Rome c.1550 to c.1640, Londres, 1983, n° 310. Un autre dessin de la même composition à l'Albertina et au British, J. A. Gere.